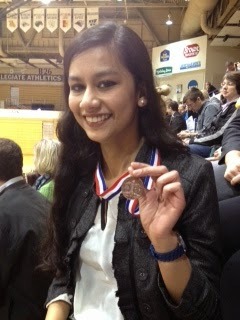 CHS Sophomore Finishes 3rd In State Speech! Congratulations to CHS sophomore, Shoilee Rahman in her 3rd place finish at the Nebraska State Speech Meet in Kearney this week! Shoilee competed in the Class B Informative contest. Narrowly missing the top six finishers were CHS seniors, Jenna Banzahf (Poetry) and Logan Lembke (Extemporaneous). 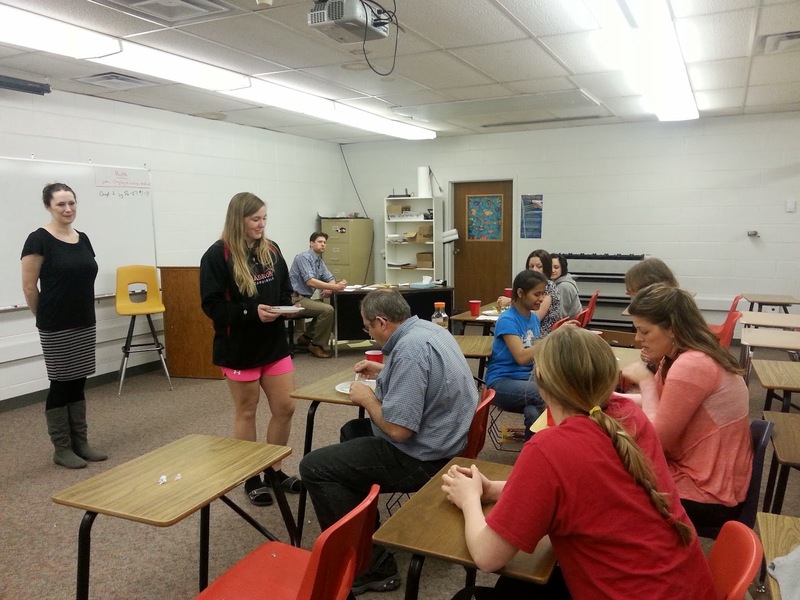 The Cardinal Speech Team is coached by Mr. Joe McCarty and Ms. Katy Dobry. Congratulations to all! Mr. Paopao Wins State Award! 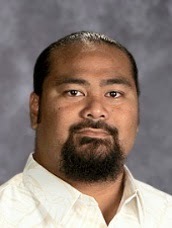 We're very honored to share the announcement that our Technology Director, Eliu 'Uati' Paopao, was named the winner of the Excellence in Leading with Technology Award sponsored by the Nebraska Educational Technology Association. The purpose of the Excellence in Leading with Technology Award is to recognize and honor an individual who has demonstrated outstanding achievement in implementing technology to improve teaching, learning, or administration. Eliu Paopao is currently the Director of Technology for Chadron Public Schools. Nick Dressel, Chadron's Middle School Principal, describes Mr. Paopao as, "an exceptional leader." He goes on to say, "he always keeps student learning at the center of the conversation when talking about how to improve technology in the district." Nick gives Eliu credit as a positive change agent saying, "it is through his leadership and expertise that Chadron Public Schools has expanded how we teach and communicate with technology, not only within the walls of our schools, but also within the larger community of Chadron." Willie Uhing, a teacher at Chadron High School, wrote, "Eliu 'Uati' Paopao is the single most important individual to Chadorn Public Schools. He personifies every positive educational virtue, modeling daily that no task is more important than a person in need. Uati's common sense approach and timeless dedication to staff and students is equally as imperative to the districts' success as his progressive and innovative approach to technology...nobody does it better!" Eliu Paopao led a successful 1:1 iPad initiative in 2012-2013 and has been instrumental in helping to plan the Chadron Tech Conference for the past three years. He has presented at many conferences, including a NETA conference. Eliu's commitment to education and technology has been recognized by Jill Bramlet, Lead Evaluator for AdvancEd, BJ Peters, Technology Director for ESU 13, and by Sandy Roes, Chadron Public Schools Board of Education President, all who wrote letters for Eliu's nomination packet for this award. Nick Dressel closed his letter of recommendation with, "His work on the development and implementation of the Chadron Tech Conference, his leadership on the Chadron High School iPad initiative, his willingness to share his expertise with others, and his efforts to expand the knowledge of the faculty and staff at Chadron Public Schools are just a few examples of the positive impact that Mr. Paopao has on the students, faculty, staff, and administration in the district." Join Nebraskans from Otoe County to Dawes, Kimball to Burt, and everywhere in between to get involved and give back by volunteering during ServeNebraska Week (April 20-26)! This signature week of service is about inspiring, and encouraging Nebraskans to seek out creative ways to serve their communities. Volunteerism spans all ages. Anyone can volunteer! It’s about working together, to meet our community’s needs and accomplish goals. All Nebraskans are being called on to demonstrate the power of service in our state. The week-long effort provides Nebraskans with the flexibility as to when they volunteer and for how long. Our goal is to have participation statewide in all 93 counties. Get involved and register today! Basic Nursing is one of our dual-credit courses through WNCC taught by Nicole Pourier. 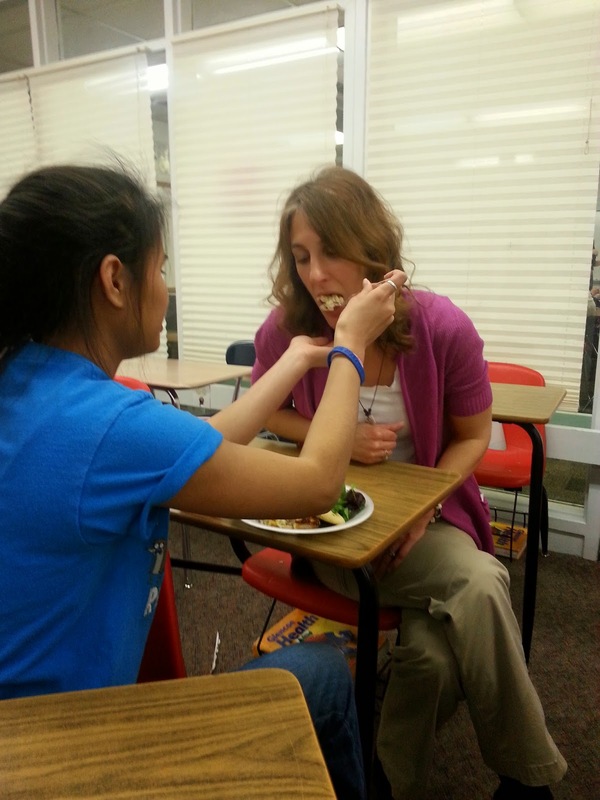 Every year during a patient-care unit, students practice feeding patients with disabilities. Our CHS staff volunteer to serve as patients, each with a specific physical or mental disorder. This has provides a great learning opportunity and experience for our students interested in pursuing a career in nursing ...in addition ... it often turns into a fun experience for our staff! Three Cards Qualify For State Speech! 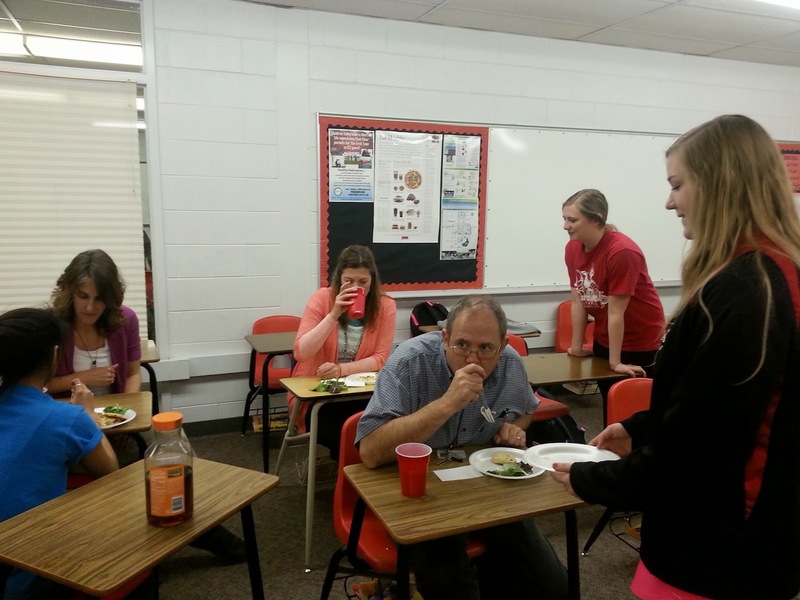 The Chadron Speech Team placed 4th at the B6 District speech contest on March 20th in Gering. Three Cardinals have qualified to compete in the State event next week in Kearney. Congratulations to the entire speech team and good luck at State!!! Tis The Season To Be ..Testing! The testing season is upon us. At the high school level, testing is done with multiple exams for every freshman, sophomore, and junior. Seniors have no required tests, although many take ACT tests in final preparation for college. Freshman and sophomores take a test called, M.A.P. (Measure of Academic Progress) and there are four different exams taken over a two-day period. Exams include: Reading, Language Arts, Math, and Science. Results are mailed home showing historical progress for individual students in these areas from grade 5 through 10. Juniors take a test called, NeSA (Nebraska State Accountability Test). Again, this test has four separate exams: Writing, Reading, Math, and Science. Each exam has two parts so we test on eight separate dates (one exam per day). 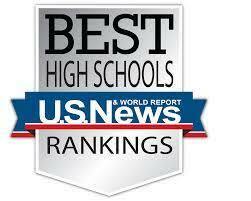 Results are reported publicly and used by the State to show proficiency levels of schools and school districts. Results are also used by our staff to identify areas of focus for curriculum adjustments. 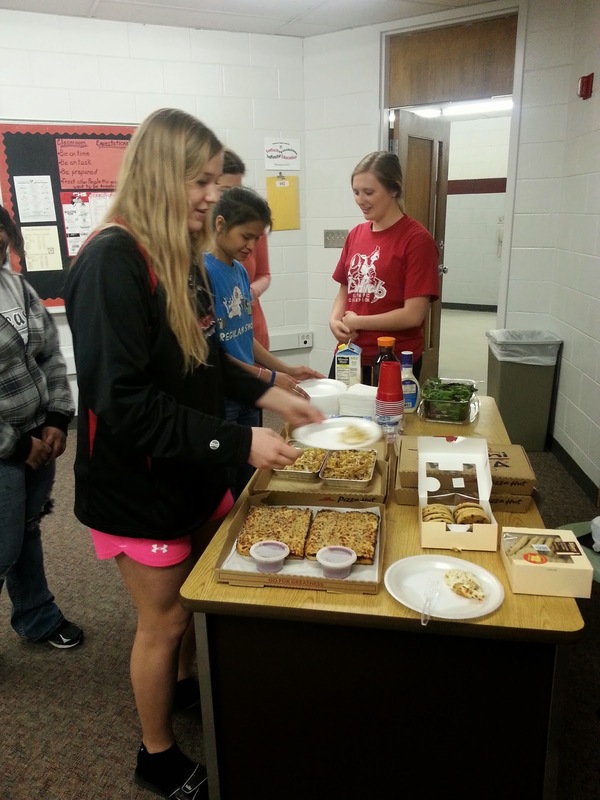 projects from our Student Council as well as a donation from the Pepsi Company. The new sign has a digital screen for graphics and will allow for easier access to update events. Automatic programming features will allow for the sign to dim and shut off late at nights. Thank you to the many students and people involved in making this happen for our school! Good Luck in Gering next week for Districts!!! Students made predictions as to which feeder they thought would be the most popular. Students are conducting observations and recording their findings. Each group will analyze the data, create a graph using an IPAD app, while comparing and contrasting the data from other groups. The impacts of environmental pollution are often difficult to see. A major oil spill, however, provides dramatic evidence of potential impact to wildlife. All forms of life are affected by such a disaster. Students in Wildlife Science examined some of the possible consequences of oil spills on birds. Students examined how a feather reacts to water, oil, and cleaning. Students also examined the effect of an oil spill on an egg. In conclusion, students also examined how oil reacts to soap. The lab was an engaging success. Very few Western Nebraska school's can afford to send a pep band to the state tournament due to the expenses of: driver, fuel, meals, tickets, and rooms. Expenses for a pep band are nearly twice the cost of sending a team to compete in the tournament. Through this generous donation, half of the expense for our pep band has been covered ...which came as a great surprise to us all. Not only is this a great experience for our band students, but it provides our basketball team with a supportive student section. 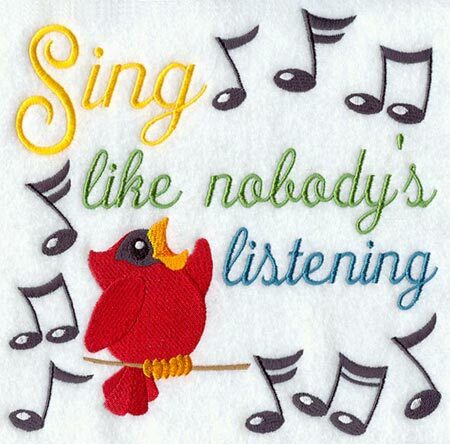 We anticipate over 30 students will travel to play in our pep band! Good Luck at State Lady Cards!! !